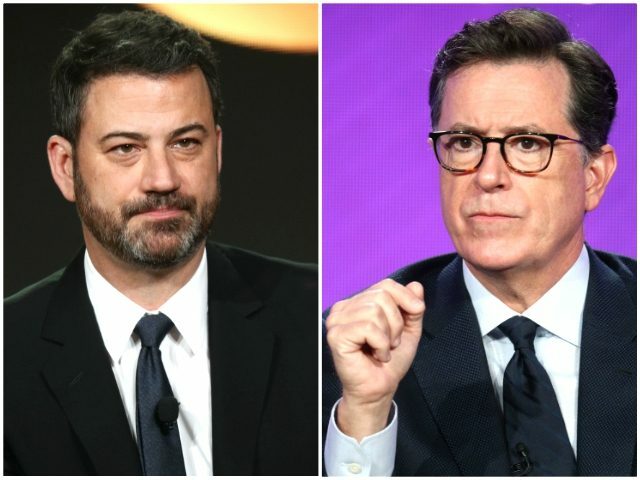 Late-night talk show hosts expressed both anxiety and excitement ahead of Tuesday’s midterm elections, as Democrat’s hope to take back control of both Houses of Congress with the aim of derailing President Donald Trump’s agenda. On CBS’ The Late Show, Stephen Colbert drank a glass of bourbon on calm his nerves. “In America’s ongoing bitter divorce, the big question is ‘Who’s getting the House?’” Colbert asked. “Now this year, especially, after being burned by all the prognosticating in 2016, the folks on cable news are playing it safe,” he said, before playing a clip of CNN and Fox anchors discussing the unpredictability of Tuesday’s elections. Over on ABC’s Jimmy Kimmel Live, Kimmel admitted to receiving dozens of emails from Beto O’Rourke’s campaign in Texas, where he is looking to unseat incumbent Senator Ted Cruz. Comedy Central’s Daily Show host Trevor Noah spoke of his excitement for the elections, predicting that Oprah Winfrey’s campaigning for Democratic candidate Stacey Abrams in George might prove an effective electoral strategy. “I don’t know how your family celebrates, but I like to put on my ugly voting day sweater, and I watch that episode of Charlie Brown where he gets purged from voter rolls,” Noah said.